Getting an attractive and vibrant looking lawn is only half the battle. You also need to maintain it all season long! With a properly installed in-ground sprinkler system, it can easily and accurately direct water where and when its needed to keep your turf looking beautiful and lush with minimal effort. 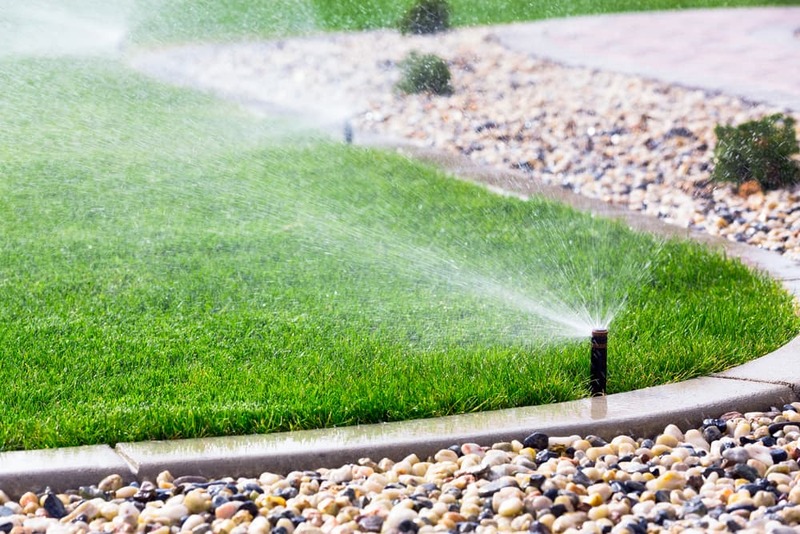 If you’re fed up trying to drag the lawn sprinkler around or can’t seem to find the time out of your busy day to water your landscape, an in-ground sprinkler system can be a big help. Once you have it installed, you just need to set the schedule, and the system will automatically water your entire yard for you, and without wasting a drop of water. Not only will it eliminate the constant hassle with the hose and sprinkler adjustments, but it will also save you up to 50% annually in water costs. And believe it or not, it can even increase the value of your home — that’s always something to be excited about! So when you’re ready to save your time for what matters most to you instead of dealing with yard maintenance, give us a call, and we’ll come and install our In-Ground Sprinkler System for you. Instant Lawns uses only the highest quality products in the industry and offers professional and friendly service every time. If you’re ready to nourish your lawn in an easy, hassle-free way, contact us to find out what our custom sprinkler system can do for your lawn!